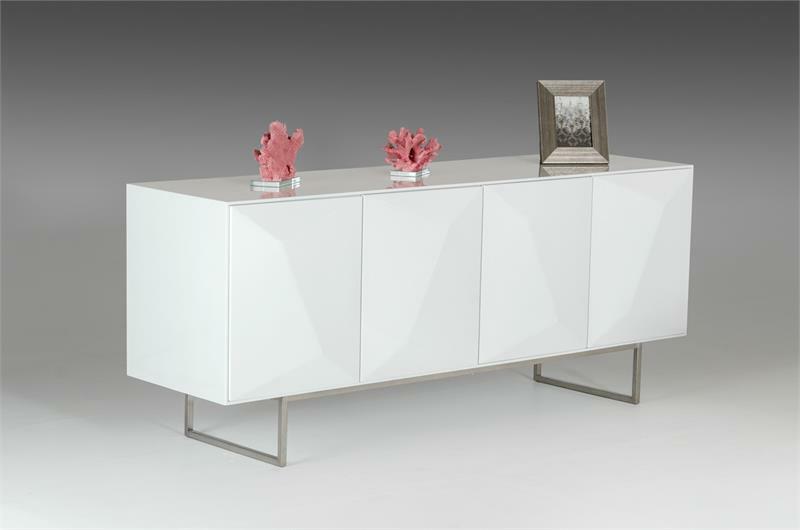 The Fiona modern white buffet presents a utilitarian design featuring 4 cabinets with soft-close mechanism. 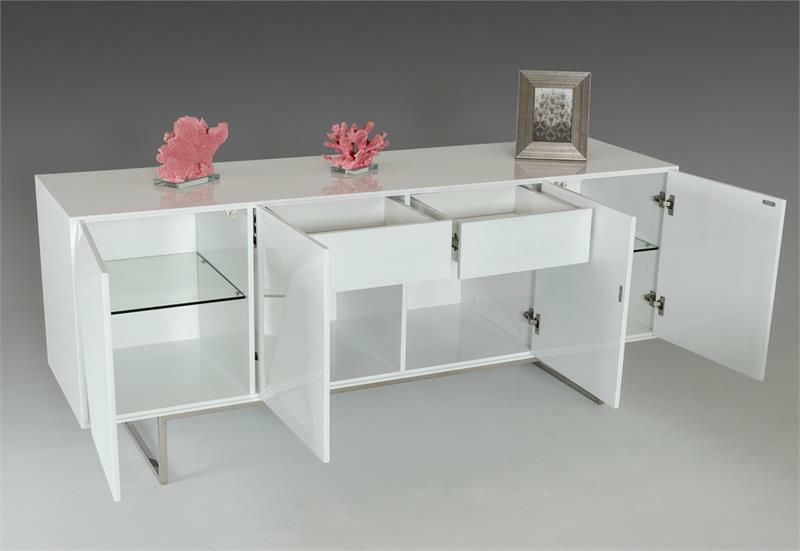 The far right and left cabinets feature 2 glass shelves each, while the middle cabinets have a drawer each and shelves. 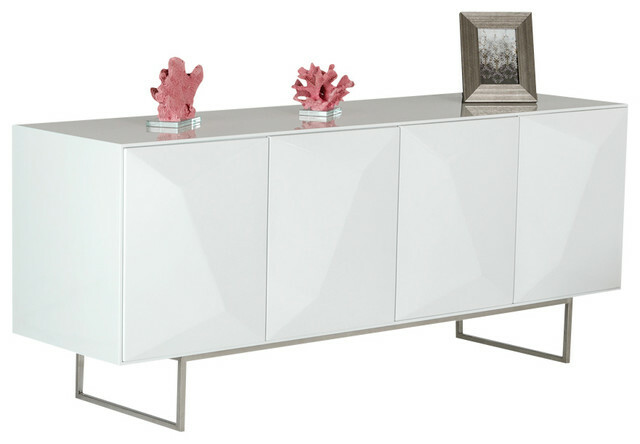 This glossy finished modern buffet has geometrical door patterns and has sturdy stainless steel legs for support.